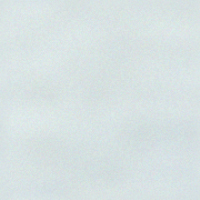 There are procedures that must be done to all pools prior to preparation for replastering. Take all necessary action to turn off all power to pool equipment, water features, lights and auto water fills. Drain pool in accordance with all applicable laws and regulations. BEWARE: Care should be taken in areas with high water tables and appropriate actions taken to prevent flotation of the pool shell. If the existing tile is to remain, undercut below water line tile, around all fittings, wall steps and lights as appropriate to ensure a flush finish for the new pool surface. 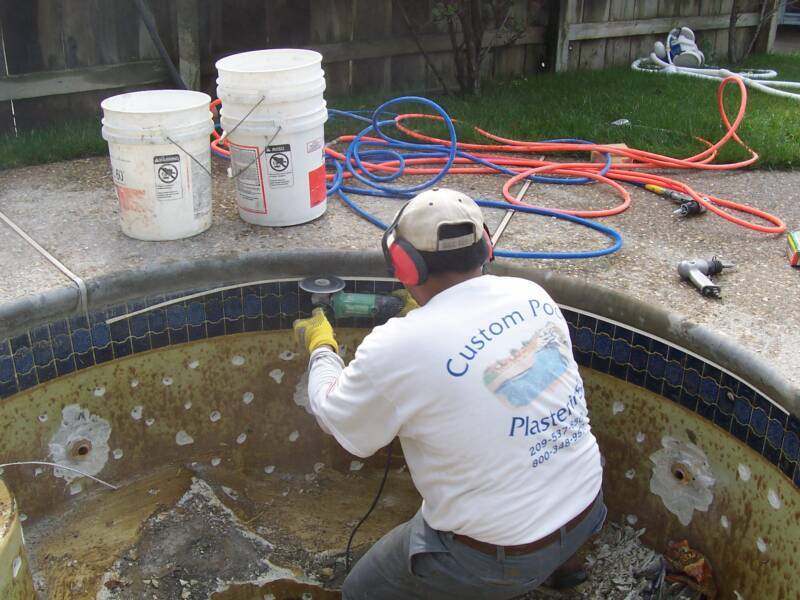 There are different methods of preparing a pool for replastering. 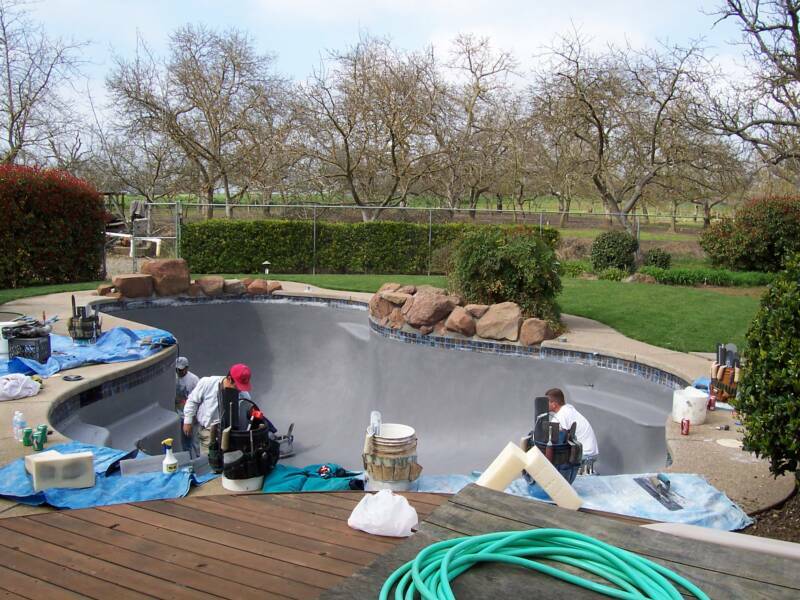 Your pool plastering professional will recommend the most appropriate surface preparation for your pool. The methods listed below are in alphabetical order and their placement is not an indication of their effectiveness. A combination of these methods may also be used. It is most important to get the roughest sound base possible to ensure bonding of the new plaster coat. Listed below are definitions of common available methods.